Internet slang (Internet shorthand, Cyber-slang, netspeak, or chatspeak) refers to a variety of slang languages used by different people on the Internet. There are various types of internet slang including letter homophones (u r gd), punctuation (!? ), capitalization (STOP! ), onomatopoeic (hahaha) and emoticons (=]). 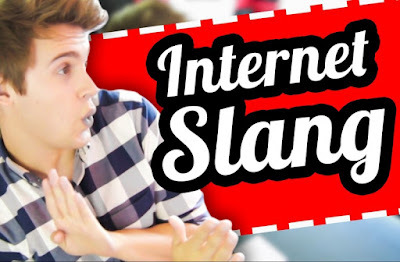 Why Internet Slang are Used?